1 Then Hashem said to Noach, “Go into the ark, with all your household, for you alone have I found righteous before Me in this generation. 3 of the birds of the sky also, seven pairs, male and female, to keep seed alive upon all the earth. 5 And Noach did just as Hashem commanded him. 6 Noach was six hundred years old when the Flood came, waters upon the earth. 7 Noach, with his sons, his wife, and his sons’ wives, went into the ark because of the waters of the Flood. 9 two of each, male and female, came to Noach into the ark, as Hashem had commanded Noach. 10 And on the seventh day the waters of the Flood came upon the earth. 11 In the six hundredth year of Noach‘s life, in the second month, on the seventeenth day of the month, on that day All the fountains of the great deep burst apart, And the floodgates of the sky broke open. 14 they and all beasts of every kind, all cattle of every kind, all creatures of every kind that creep on the earth, and all birds of every kind, every bird, every winged thing. 15 They came to Noach into the ark, two each of all flesh in which there was breath of life. 16 Thus they that entered comprised male and female of all flesh, as Hashem had commanded him. And Hashem shut him in. 17 The Flood continued forty days on the earth, and the waters increased and raised the ark so that it rose above the earth. 18 The waters swelled and increased greatly upon the earth, and the ark drifted upon the waters. 19 When the waters had swelled much more upon the earth, all the highest mountains everywhere under the sky were covered. This verse seems to contradict the assertion that Eretz Yisrael was not affected by the flood. The Ramban, a leading scholar in medieval Spain, solves this contradiction by stating that rain did not fall over the Land of Israel, but nevertheless, as there was no barrier surrounding the land, the flood waters entered the land from the surrounding lands. Even though the land was flooded, the powerful rain did not fall directly on Eretz Yisrael. As a result, the trees were not affected and at the conclusion of the flood, the dove was able to find an olive leaf in bloom. The image of a dove grasping an olive branch has become a symbol of peace. This icon, which emerged at the re-initiation of the world, when God’s anger was quenched and Noach was commanded to continue mankind anew, emerged from the Land of Israel, the land of peace. 20 Fifteen amot higher did the waters swell, as the mountains were covered. 21 And all flesh that stirred on earth perished—birds, cattle, beasts, and all the things that swarmed upon the earth, and all mankind. 22 All in whose nostrils was the merest breath of life, all that was on dry land, died. 23 All existence on earth was blotted out—man, cattle, creeping things, and birds of the sky; they were blotted out from the earth. Only Noach was left, and those with him in the ark. When people read the Tanakh as a history book, they miss the point that the whole Tanakh is a spiritual book. I am myself very interested in history and I quote a chief Rabbi in England. He said that evolution tells us how, and the Tanakh tells us why. Spirituality as even found in the Zohar is to understood spiritually. 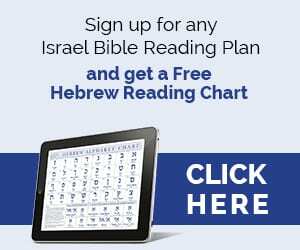 Israel Bible, here's a novel idea: Instead of following the Jewish tradition of publishing a Bible, that promotes the ramblings of sages, how about promoting the plain understanding of the TANAKH – This would provide YOU with a credibility (and resulting positive sales) that none of the other Bible publishers have yet attained. Let's look at this from a different angle. Let's take something we know beyond any shadow of doubt. After the waters abate and Noah starts to repopulate the earth, it is said Elohim put a rainbow in the sky. It was His covenant given to Noah to never again destroy the earth with water. It is my contention the rainbow was always there. It is well known that a rainbow is only seen as the sun shines through water crystals in the air, causing a multi-colored arch in the sky. Gen. 1: 7 speaks of "waters below the firmament" and "waters above the firmament". There can be no other explanation than to deduce a thick, water laden mist covering the whole earth. There really didn't need to be rain. For, the mist would not only cool and water the vegetation, but would block out the harmful rays from the sun. Hence, exaggerated longevity of age for men before Noah. What actually happened was this earth encircling mist turned into torrential rain, flooding the WHOLE earth, including the Land. This idea puts Scripture according to Moshe, science, and common sense together. If it were like the sages say, then their premise would have been explained just like Moshe described the unnatural and nature defying Red Sea event. Verse 19 doesn't "seem" to contradict. It most certainly DOES contradict, and totally refutes the concept put forth by the sages in this matter. It is only pure conjecture to assume the Land wasn't affected, or that it didn't rain upon the land. Again, I must adamantly stand by what Moshe said. I gave mainstream Judaism, the flick, a while ago. The Oral law (Talmud, Kabbalah, etc), is absolute sage nonsense. I now practice the faith of a Karaite Jew – Just TANAKH, no Oral Law nonsense. כָּל־בָּשָׂר הָרֹמֵשׂ עַל־הָאָרֶץ – including everything in Israel. No exceptions. That you very much for this wonderful site by the way. Your daily emails really motivate me to read the original text. I am sorry but I still do not see anywhere a mention of the land of Israel except in some fanciful allusions of the sages. 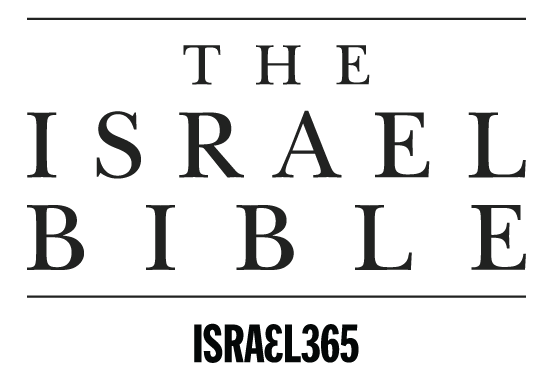 I do not believe we ever see the word Israel till about the 32nd chapter. However, when He called to Abram, He directed him to the “Promised” land of Canaan which we now know as Israel. I find there are a lot of suppositions when it comes to the Rabbis and sages. Give me facts, not just maybes. As I commented on Genesis 5, that the Land of Israel was affected at all by the Flood indicates that there is a relationship of sanctifying identity between the Land of Israel and the whole earth, which brings a promise of the hope of the ultimate cleansing of sin for the whole world. This is because the Land of Israel will ultimately not tolerate the presence of sin within it. Here in Genesis 7:19, and in the rabbinic commentary brought to us in the text above, we see other allusions concerning this that help us to understand it better. It was from the waters that rose up from the surrounding nations and lands that the Land of Israel was covered, even to the level of the high mountains. But it was not from the waters that poured down in judgment from the heavens. As a result, we see two things. We see that even the heights of Zion are identified with the whole earth in judgment in a way that extends the promise of the redemption of Zion to the whole earth. And we see that the olive branch of G-d’s mercy and grace can be associated with the promise of blessing of the vicarious suffering for the whole earth that can be found in the Land of Israel. Perspective on Rashi’s commentary on Isaiah 53 might be gained in relation to this.